If you are thinking about the flooring in rooms such as your kitchen, bathroom, and your laundry, the first and obvious material to use is tiles. With benefits like being durable and easy to clean, tiles are an easy choice for utility spaces and rooms. However, when it comes to the other rooms in your house which are more for pleasure and less for utility, the choice isn’t always as obvious, leaving many homeowners to choose flooring that doesn’t suit their needs. If you are in the position of renovating your home or are building new and aren’t entirely sure which flooring you would like, you have come to the right post. With extensive experience providing professional carpet cleaning in Midland, TX, Midland Cleanpro has some information to share regarding the benefits of carpet which can help you make your decision. The most important aspect of your flooring is going to be your comfort. Considering that you can expect to do a lot of walking on it, it is important that it is comfortable. And this is where installing carpet really pays off. Instead of cold and hard tiles or floorboards, carpet (and its associated underlay) can provide a range of walking conditions. For example, if you prefer firm support under your feet as you walk, a combination of a firm underlay matched with a short haired carpet will be a good choice. Conversely, if you prefer to feel like you are walking on clouds, a thick underlay with a long haired carpet can deliver the sensation you are looking for. Of course, the combination possibilities of underlay and carpet choice let you find a middle ground between hard and soft. Particularly at this time of the year; maintaining heat inside your home can be a challenge. Of course, the end result is often a massive heating bill. 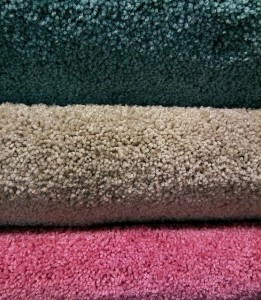 Carpet, by its nature, retains heat for longer. This means that the heat generated in your house during the day isn’t lost as quickly once the sun goes down as it would if carpet were not installed. In addition to helping to keep your heating costs down, less use of your heating service can also have a positive impact on the environment. Carpets are a great choice for both houses and offices and provide a feeling of warmth and comfort as you walk. Of course, like any flooring, your carpet is going to get dirty. When this happens, don’t risk damaging your carpet with a traditional steam clean which works via hot water extraction. Instead, speak with a professional carpet cleaner at Midland Cleanpro by calling (615) 208-0908. By utilizing the Cleanpro cleaning system, Midland Cleanpro can get your carpets looking their best without the need to soak your carpet. Not only does this result in a remarkable clean, but also leaves your carpets ready to walk on within a few hours, not days! If you find a bit of extra room in your budget, there are also designer brands and international carpets available for you to choose from. Whichever flooring you choose, it is going to see a lot of foot traffic and a lot of use. As you can expect, this means regular vacuum cleaning and upkeep. Over time, even gentle vacuum cleaners can start to scrape on tiles and floorboards, leaving small scratches, which can quickly add up and become unsightly. In addition to these marks, general walking in high heels or even work boots can cause dents in your floorboard which requires partial reflooring to fix. Carpets, by their design, are well suited to handle this type of action, whether it’s a high-powered vacuum cleaner or the constant parade of high-heels and work boots. While you may be able to see your foot or shoe prints as you walk, high-quality carpet almost immediately bounces back into shape, leaving you with constantly fresh looking carpets. While traditional cleaning methods involved hot water extraction, this can lead to unnecessary carpet damage and a reduction in its overall lifespan. To get your carpets clean without damaging them, speak with Midland Cleanpro about the Cleanpro cleaning system. Call (615) 208-0908 and learn more about how Cleanpro’s ION exchange process and matching citrus based 100% biodegradable cleaning solution can bring your carpets back to life without causing any damage and without leaving any residue!